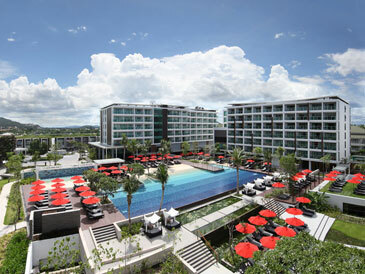 ua Hin, one of Thailand’s premier beach resort towns on the Gulf of Thailand, is less than 200 km south of Bangkok, making it one of the most popular weekend getaway destinations for city residents. A resort equally popular with young couples and families, tourists and Thais, Hua Hin is also the location of the King of Thailand’s summer palace, Klai Kang Won, “Far from Worries.” Hua Hin features a beautiful, powdery sand beach, numerous seaside seafood restaurants, a lively night market, numerous beach activities, and some great inland activities, not least of which is golfing at some of Thailand’s most renowned courses. Just down the coast at Takiab Bay visitors can take seaside horseback rides and visit a hilltop Buddhist temple with a spectacular view. Accommodation along the beach and on the streets leading away from the sea range from simple guesthouses to luxury resorts, and includes some of the finest spa-retreats in the world. Hua Hin is accessible via train, bus, or car and the seaside community of 60,000 residents is a fine example of warm and welcoming Thai hospitality. Hua Hin has a tropical climate influenced by monsoons . Dry season is from December to April, rainy season is from May to November. Average temperatures stay between 25C and 30C throughout the year. DRESS CODE: casual and beach attire, light cotton clothing, comfortable shoes, sandals: hat, sunglasses and a good sunscreen are essentials. When visiting temples it is advisable to dress modestly and wear shirts with sleeves. Some classy venues such as restaurants require a smart casual attire. Hua Hin has a limited variety of shopping: local markets and shops and shops in the hotels.